Professor Susan Hallam MBE reviews a musical performance and a lecture from Professor Daniel Levitin. In August last year at the BBC Proms, the Aurora Orchestra performed Mozart’s symphony no.40 in G minor entirely from memory. Free from music stands and with almost all standing, they played with enormous enthusiasm and energy. Nicholas Collon, the conductor, explained: ‘For many members of the Aurora Orchestra, performing Mozart’s Symphony no.40 from memory ranked as one of our most intense and rewarding musical experiences. In every way it deepened and enriched our relationship with this extraordinary piece of music, forcing us to internalise nuances that can be easily glossed over when reading from the page.’ Following on from this remarkable performance, on 2 August 2015 they performed Beethoven’s ‘Pastoral’ symphony in the same manner. This feat raises the question of how musicians go about learning long pieces of music from memory. It was this question that Professor Daniel Levitin addressed as part of his BBC Proms Lecture ‘Unlocking the mysteries of music in your brain’. Levitin, now Professor of Psychology, Behavioural Neuroscience and Music at McGill University, developed his interest in music and the brain from his experiences as a rock musician and producer (he still plays in a rock group with colleagues from McGill University called ‘The Diminished Faculties’). His book This is Your Brain on Music was an international bestseller. 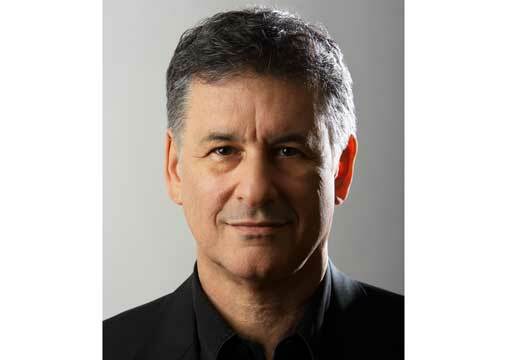 In the BBC lecture Levitin focused on aural memory: in particular, how humans as a species remember music. He outlined how different parts of the brain process pitch, rhythm, volume and timbre separately and independently of each other. Through audience participation, Levitin demonstrated how music tends to be remembered at the pitch at which it has been heard, because the same neurons are activated. He explained how musical memory relies on the highly structured nature of music and its use of patterns, and how by the age of five most children have internalised the rules of the music of their culture. Most people can recognise 100s if not 1000s of songs, and do this through automatic template matching even when they are played on different instruments and in different arrangements. We can even recognise some music from just one note, a process typically based on timbral memory. Levitin outlined the role of ‘Broadman 47’ (part of the frontal cortex) in music processing. The area is involved in predicting what comes next in a piece of music, and neurons are active when expectations of the rules and conventions of music are violated. He argued that expectation is the key to music; if a piece of music is too predictable the listener becomes bored, if too unpredictable there is no reference point to engage the listener. The importance of emotion in enhancing musical memory was also stressed and how the nucleus encombas, with its strong links to the hippocampus, releases dopamine when we enjoy music which leads to strong pleasureable reactions. In the final section of the lecture Levitin turned his attention to how the orchestra would go about memorising the Pastoral Symphony. He indicated that in addition to aural memory, supported by knowledge of structure and patterns, the orchestra would rely on motor memory and ensemble cues. He explained how, in this context, motor action sequences are hierarchically organised in relation to musical phrases giving them a natural beginning and end which reflects aural memory. Levitin also argued that performing from memory in an ensemble would provide cues from other ensemble members. Overall, it was an entertaining lecture, punctuated with many participation activities which the audience clearly enjoyed. Its focus on memory for music in the general population meant that the explanation of how the musicians were going to tackle the memorisation task facing them was not fully explored with a notable omission in terms of visual memory, an issue which was raised later in a question from an audience member. However, there is no doubt that the audience left with a much greater understanding of how they remember music. - Reviewed by Susan Hallam MBE, Professor of Education and Music Psychology at the Institute of Education, University College London. A brave new world of sleep?